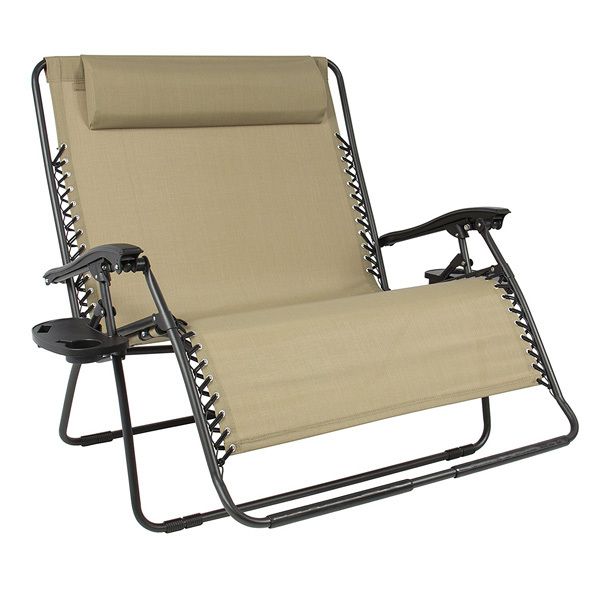 The Best Choice Products Huge Folding 2 Person Gravity Chair adds a great twist to the typical zero gravity chair. Adding a few patio recliners to an outdoor space can make it all the more inviting and functional. The first step to getting a great indoor-outdoor living experience is to make your outdoor space comfortable, right? What better way to do that than to start with great seating. Some things to consider are the types of chairs that will work best for your yard. 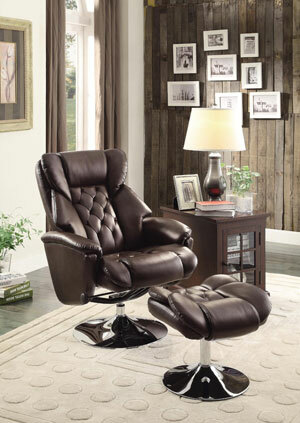 Do you need a slim chair, a double-wide model, a chaise lounge, or maybe a cushy chair with an ottoman? Another aspect to consider when buying seating for your patio is to ensure the frames and cushions of the chairs are weather resistant. Most all outdoor chairs have waterproof coatings and UV protectant features, but be sure to double check the models you’re considering before making your purchase. In the table below you’ll find comparisons of a diverse group of highly-rated patio recliners. We hope this helps to provide a summary of the types of outdoor recliners that are on the market. Now that you’ve had a chance to look over the options in the table, we’ll go into more detail about a few of the patio recliner models. Continue reading to learn the differences between the styles of chairs shown in the table. The Best Choice Products Huge Folding 2 Person Gravity Chair puts a useful twist on the standard zero gravity chair. While most zero gravity chairs are rather narrow, this model measures 45″ wide to easily accommodate 2 people — or to provide ample space for one person to lounge. The chair is designed to support up to 450 pounds of weight. Going into the other measurements for this chair, it stands at 41″ high. When folded, the chair measures 45″ wide by 38.3″ high by 10″ deep. The bulky folded dimensions make this chair more cumbersome to transport than other zero-gravity chairs. 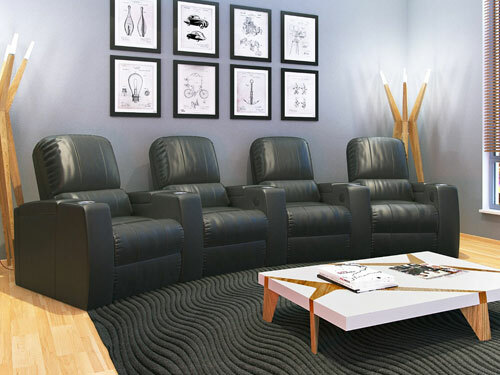 The upholstery is a UV-resistant mesh and, according to reviewers, makes for a comfortable seat. Adding to the comfort of this model are removable and adjustable padded headrests. Removable cup holders and a phone holder are also included with this patio recliner. 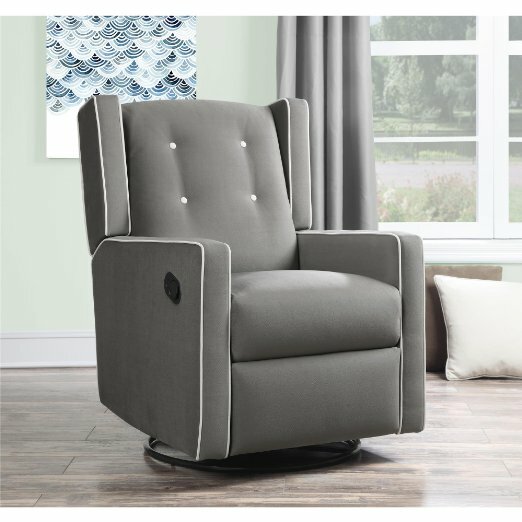 From the king of recliners, the La-Z-Boy Lake Como Patio Recliner has earned high praise from reviewers. 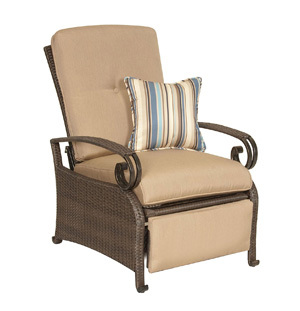 This model is more similar to an indoor recliner compared to most other patio recliner chairs. It features an elegant design that almost seems more like something you’d see in a living room. It also offers three different recline positions. The chair’s construction is made to stand up to the elements. Its frame is composed of durable steel and aluminum, and it’s covered in weather-resistant resin wicker. The upholstery is La-Z-Boy’s All Weather Sunsharp Fabric, which is specifically designed for outdoor use. The dimensions of the chair are 27″ wide by 36.6″ deep by 40″ high. 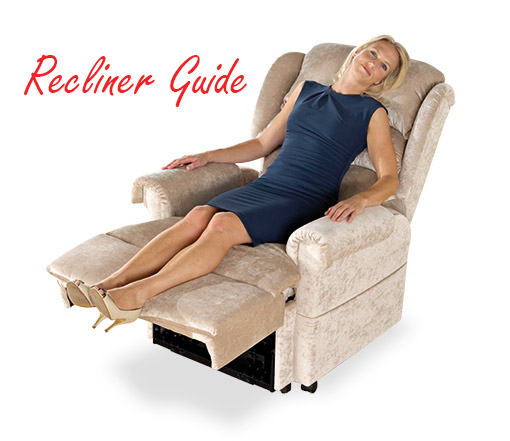 We chose to include the Best Choice Products Hanging Chaise Lounger as a highlighted patio recliner because it is such a unique option. This is obviously not a typical recliner. This chair is part hammock, part porch swing, and looks irresistibly relaxing. The shape is also reminiscent of an ocean wave, further lending to the calming vibe of the chair’s design. The footprint of this option is the largest out of all those in our chart, and it measures 73″ deep by 46″ wide by 78″ high. If your outdoor space can accommodate such a large piece of furniture, though, this might be the right choice. The frame is made of powder-coated metal. The upholstery is weather-resistant, and the seat cushions are foam filled PVC coated polyester to prevent water damage and mildew. The chair is designed to hold up to 265 pounds. 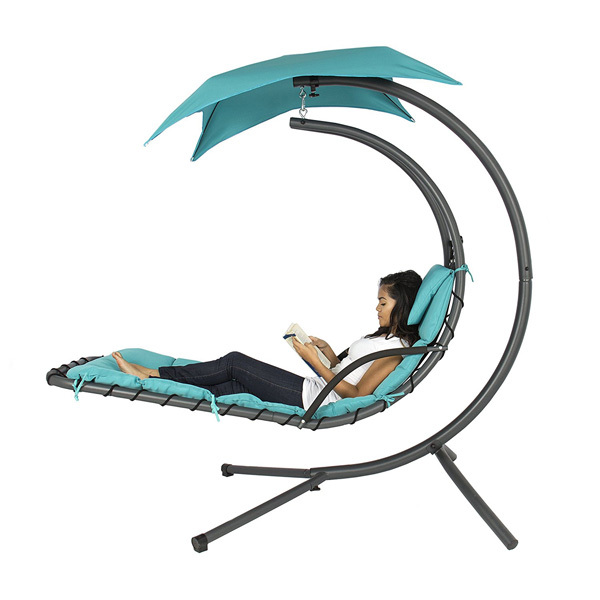 Another plus to this chair is its built-in canopy to help protect you from the sun as you lounge in your yard.